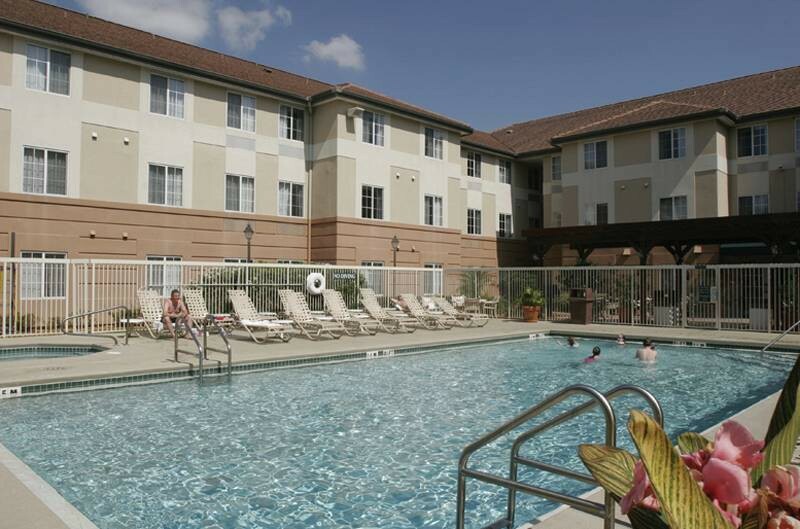 LocationThis hotel enjoys an excellent location, only minutes away from the famous Disney World and within easy reach of countless restaurants, bars and an entertaining nightlife. 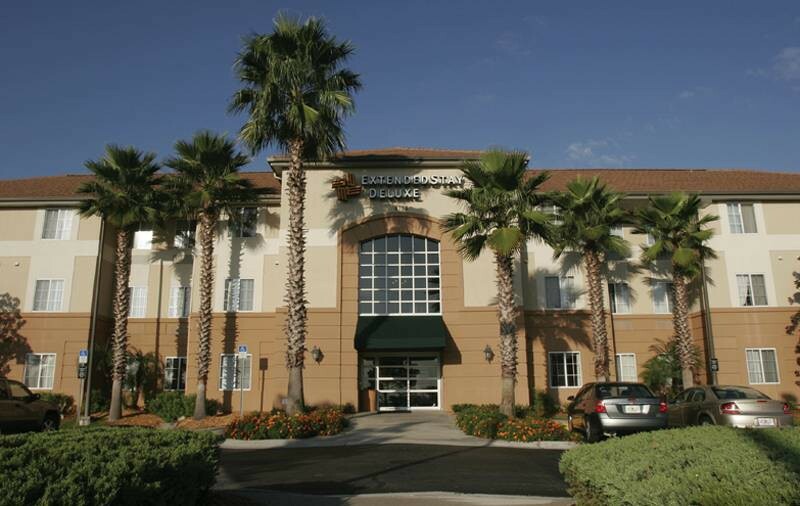 In addition, Orlando airport is about 30 km away.FacilitiesA lobby and a reception are available to guests. A lift can be used to access the upper floors. Services and facilities at the hotel include a cloakroom, a safe, a breakfast room, a playroom and coin-operated laundry. Guests arriving in their own vehicles can park in the car park. A shuttle service is offered.RoomsAll rooms feature air conditioning, central heating, a living room and a bathroom. The carpeted accommodation units feature a double bed, a queen-size bed, a king-size bed or a sofa-bed. A kitchenette equipped with a fridge, a microwave and tea and coffee making equipment is provided as standard. An ironing set is also available to guests. Convenient features include internet access, a telephone, a TV and a radio. In each of the bathrooms, guests will find a shower, a bathtub and a hairdryer.Sports/EntertainmentSport and leisure options are offered by the hotel and third-party operators. The hotel offers an outdoor pool. Leisure options available to guests include a gym. MealsBreakfast is bookable as a board option.PaymentThe following credit cards are accepted at the hotel: American Express, VISA and MasterCard.